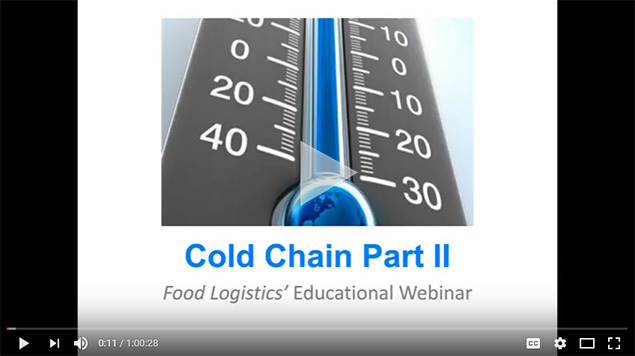 Handling time- and temperature-sensitive food/beverage shipments in a highly competitive and regulated environment creates unique challenges for logistics partners and others that support the global cold chain. What are those challenges? How are they being addressed? What are obligations under FSMA and other regulations. Where do the opportunities lie? Join Chris Kalinski, ORBCOMM's VP of Food Safety and Pharmaceutical Solutions, as he and other cold chain experts engage in a candid discussion on these and other issues related to cold chain management. Moderated by Lara L. Sowinski, Editorial Director for Food Logistics and Supply & Demand Chain Executive. By enabling precise temperature monitoring, fuel management, preventive maintenance and remote control for food, pharmaceuticals and other temperature-controlled cargo, ORBCOMM helps customers improve end-to-end operations and gain total assurance from the product’s origin to destination. To learn more, Schedule a Demo or contact us at sales@orbcomm.com.